Just three months after what many said was a retaliatory move against the arrest of Huawei's CFO, when a Chinese court ruled in favor of Qualcomm against Apple, banning the sale of some iPhone models across China, now it is - perplexingly - the US' turn. 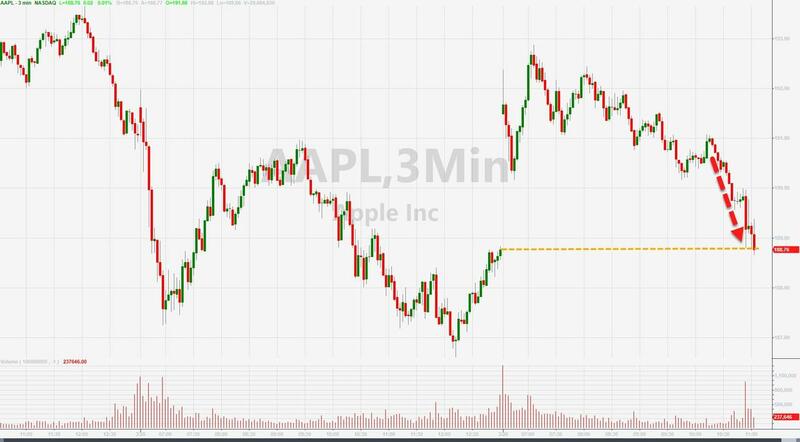 Apple shares are tumbling back into the red following a decision by International Trade Commission Judge MaryJoan McNamara recommending an import ban on certain iPhones, due to infringement of Qualcomm patents. Bloomberg reports that the case is one of two that Qualcomm brought at the trade agency, seeking an import ban on iPhones to give it greater leverage in technology licensing negotiations. 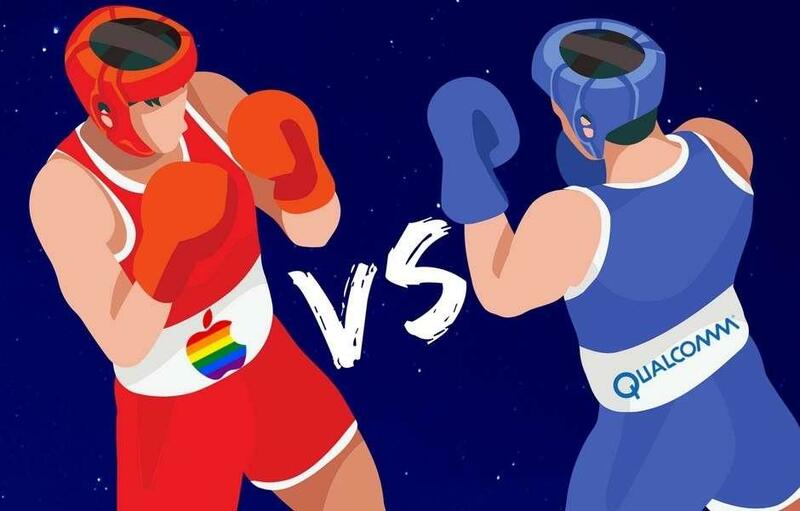 Qualcomm says it’s due billions of dollars in unpaid royalties on the iPhone as the two tech giants argue over the value of the chipmaker’s patents. The commission is scheduled to release its final decision in the other case later Tuesday. There is some hope for Apple, as the judge’s findings are subject to review by the full commission, which has the power to block imports of products that infringe U.S. patents.